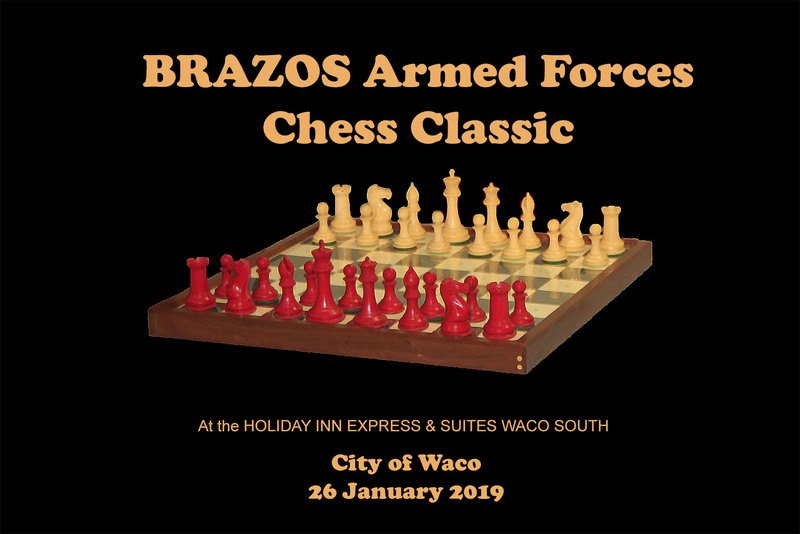 The BRAZOS Armed Forces Chess Classic is a special event showcasing the Texas Military Chess Team and Texas Military Auxiliary Chess Team against all challengers living in Waco and surrounding communities. In Round One the challengers will be paired against a member of one of the other two teams. Any extra challengers will be paired in the BRAZOS Challengers Section. In Round Two, the BRAZOS Challengers Chess Team players will be shuffled so as many as possible can play a member of the first two teams. 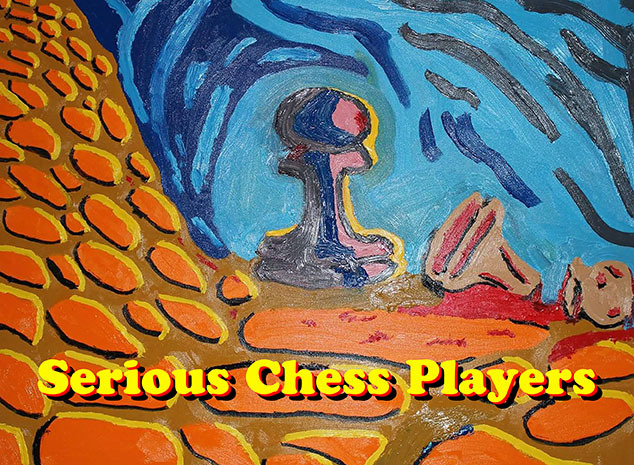 Entry Fee: Free for the Texas Military Chess Team. 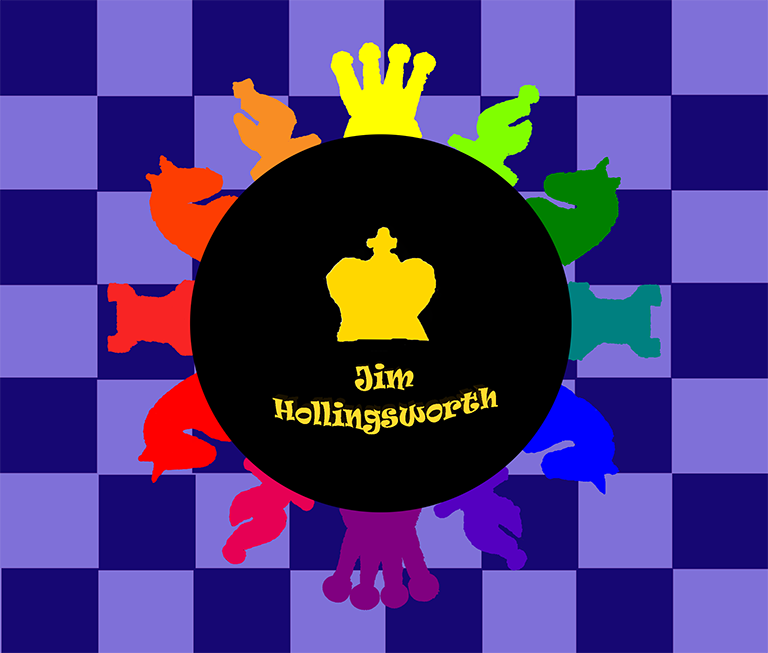 Free for the Texas Military Auxiliary Chess Team. $5 for everyone else (they will be placed in the BRAZOS Challengers Chess Team). Texas Military All Star Chess Team. Texas Military Auxiliary All Star Chess Team. US Chess Rulebook, Edition 6, with all updates is in effect. All players will record moves on provided score sheets and turn in signed copies. Bring sets, boards and clocks; none provided. Facility, lunch and nearly all expenses are covered through the generous sponsorships of Jason's Deli, DeAris Brandon-Degrate and Waco Chess Organizer Jeffrey Spyrison. We are extremely grateful for their support! Time control is Game/60 Delay 5. Dual Rated. US Chess Rulebook, Edition 6, with all updates is in effect. All players will record moves on provided score sheets and turn in signed copies. Bring sets, boards and clocks; none provided. Facility, lunch and nearly all expenses are covered through the generous sponsorships of Jason's Deli, DeAris Brandon-Degrate and Waco Chess Organizer Jeffrey Spyrison. We are extremely grateful for their support! Bring an appetite. Jason's Deli will arrive about 8:30 AM. We'll have coffee and water all day long. DeAris Brandon-Degrate will bring his famous BBQ around Noon. In case of Incliment Weather look at this webpage for Cancellation Information. U.S. Marine Corps Commercial | "Chess"